Valentine’s Day has always seemed a little over-rated to me. I’m too frugal for cards, chocolate, and flowers, but I know other people enjoy those things. 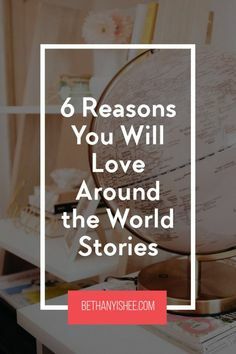 However, there is so much life learning and fun you when you dive into on Valentine’s day, as more than an exclusively romantic, Hallmark holiday. Here, I’ve gathered up some great homeschool Valentine’s Day ideas to incorporate this February to make this Valentine’s day one to remember. 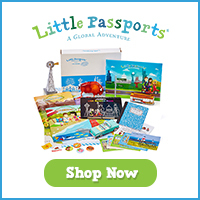 Whether it’s art or science, math or crafts, there is undoubtedly something the whole family will enjoy. So have a look and find just one or two activities to add to your day. Don’t fall into the trap of thinking you have to do all the things. It’s easy to do, I know, but one simple, well-executed idea is better than a haphazard array of useless activities. 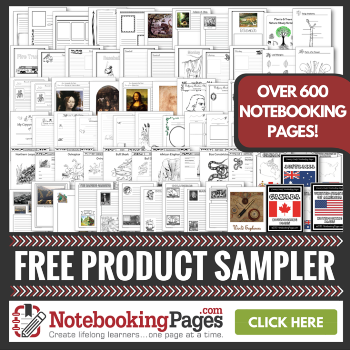 Use these Valentine’s Day ideas to bring a little enchantment to your homeschool. Music is a beautiful addition to your homeschool on Valentines’ Day and Music in Our Homeschool and SQUILT by Homegrown Learners both have fantastic ideas and courses to incorporate music appreciation in your day. The great thing about music appreciation is that it can be enjoyed by the entire family! Valentine’s day is also a great day to include art. We often put art and art appreciation off, but Valentine’s is the perfect day to take a break and get creative. 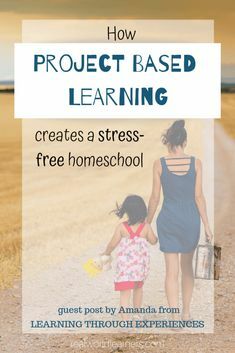 You could also do many of these projects in advance and give them as gifts. 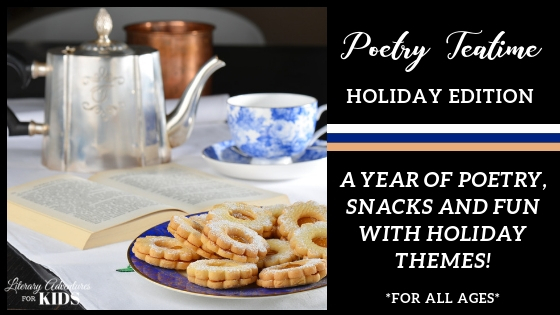 Beyond art and music, you can bring enchantment to your Valentine’s day homeschool by including a poetry teatime, reading aloud, and notebooking. 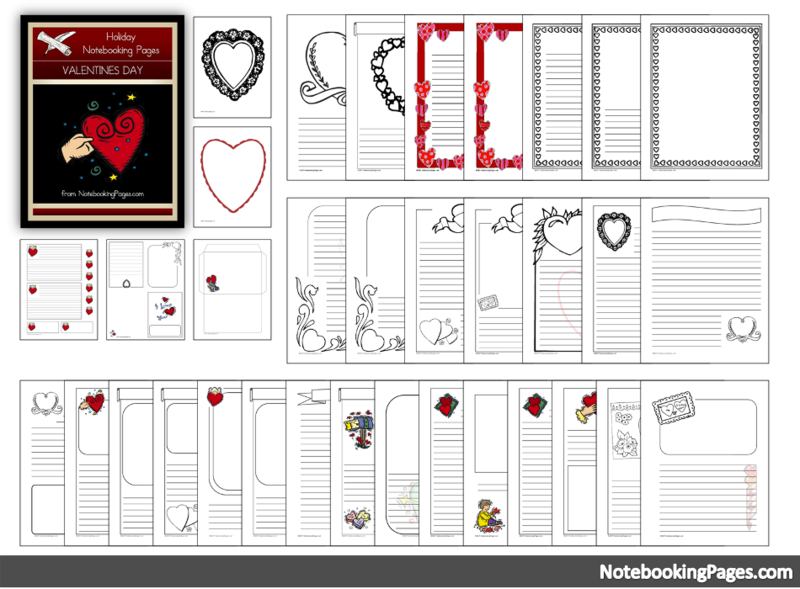 Free Valentine’s Day Notebooking Pages from NotebookingPages.com. Even science and math can be fun with Valentine’s day ideas. From slime to candy hearts, there are many ways to have a little Valentine’s day fun. Now, how about just having fun? Here are fun games, crafts, cards, and other activities to add to your day for no other reason than you’ll have fun. What child, or adult, wouldn’t love some fun, holiday-themed treats on Valentine’s day? Several of these ideas would also make great gifts to give to others on Valentine’s day. 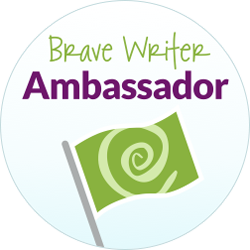 I hoped to give you some ideas that would go beyond those suitable only for preschoolers. 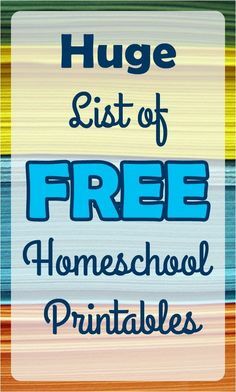 As many homeschool moms, I have a wide range of ages and it can be difficult to find holiday activities for the entire family. Hopefully, this list will help you to have some Valentine’s day fun with everyone from the high schooler to the pre-k crowd. Happy Valentine’s Day!